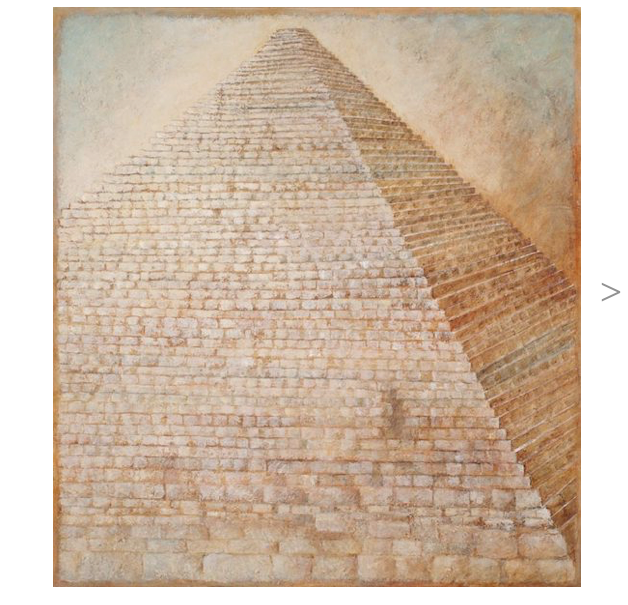 This series embodies the subtle “Essence of the Pyramid”. At inception, painted to inspire my creativity, they later became a spiritual healing act of force. I visited each pyramid shown, and climbed the great pyramid of Cheops outside of Cairo, Egypt, in the year 2000. This body of work will inspire the viewer. Light shines from within each thickly pigmented canvas, painted in acrylic and mixed media.